One of the most important messages communicated in human societies has always been the notification that one of their members has died. The news spreads outward—like ripples in a pond—from family members to friends, to employers, and to fraternal orders and other organizations to which the deceased belonged. Various bureaucracies, too, must be informed, such as Social Security, insurance agencies, and voters' registration, as the deceased is no longer entitled to the benefits of the living. A death notice announces a void in the social fabric and the survivors' entry into the bereavement role. Who delivers the death notification, and to whom it is delivered, reveals much about the nature of individuals' ties to the broader society. Until the early twentieth century an individual did not attend a funeral without an invitation. 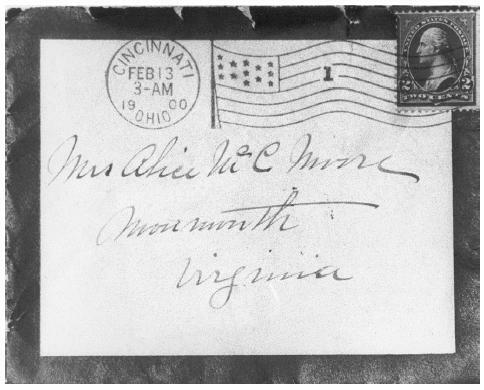 One way of providing an invitation was a letter edged in black, generally enclosed in a black-edged envelope. The invitation served the dual purpose of notifying the receiver of the death and inviting him or her to the deceased's funeral. as when a distant cousin is informed before a sibling of the deceased, people may feel slighted and ill feelings can result. Therefore, a "ranking" process usually exists with regard to whom the contact person(s) should be and the order in which survivors should be notified of a death. Each family unit usually has its own plan of contact order for those who should be a part of the notification process. When societies were rural, small, and members lived near one another, it was feasible to walk from residence to residence and personally spread the news that someone had died. When horses were available, riding, rather than walking, was an option. The custom of ringing a bell to announce a death originated in Europe and became a cultural trait. In Tudor England, it was called a "Passing Bell" or "Soul Bell" (Montell 1975, p. 68). Tolling the bell was used in different ways depending on the community. The bell might simply be sounded several times and people would understand its meaning. It could be rung several times, there would be a pause, and it would be tolled again each hour for several hours. In some societies, the number of times the bell was rung reflected the age of the person. The famous English poet, John Donne, obsessed with his own death and lying in bed suffering from a serious illness, wrote "For Whom the Bell Tolls" while listening to the tolling of a distant funeral bell. The custom of ringing the bell was brought to early America and utilized in areas such as Central Appalachia for many years. In the small American towns of the nineteenth and twentieth centuries, where no newspapers, telephones, or other means of fast conveyance were extant, it was common to place a funeral notice in the window of a business establishment. People who lived in the community, or were visiting, would go to the window of the business to see who had died and then respond accordingly. In some areas of Europe and America it was also a custom to place a black badge or flower wreath on the door of aresidence or business to denote a death. When telephones were introduced, for people who could afford them, tolling bells and other forms of notification were no longer necessary. Messages could be sent to people who lived a long distance from where the death occurred. With the phone, the message which had been public, now became privatized. The advent of the telephone brought a new form of death anxiety. When the knowledge of an impending death exists, there is a degree of anxiousness every time the telephone rings. There is the certainty that "this call is the one" and there is an element of hesitancy to answer the phone. If it is not answered, the bad news will not be received, and the death can be denied for a while longer. From the early 1900s to the present, many radio stations have a daily broadcast, usually in the morning, to inform the listening public of those who have died, with a biographical summary similar to an obituary and notice of the time and place of the funeral. These programs are usually supported by local funeral establishments. While one might consider the obituary that appears in newspapers to be a modern contrivance, it actually dates to at least the Middle Ages. The obituary is a published announcement of a death. It includes a brief biography of the deceased and information concerning the funeral, but the quantity and type of data included vary from one obituary to another. Symbolically reaffirmed is the community's social hierarchy. Occasionally the person's standing in the social hierarchy is denoted, and in rare instances there may be a photograph of the deceased. In the hospital setting, it is generally the duty of the physician to notify the next of kin that a death has taken place, but there are instances in which the task has been assigned to a nurse, clergyperson, or social worker. In the case of accidental death, vehicular or nonvehicular, it often is a police officer, accompanied when possible by a chaplain, who delivers the news. When death occurs, the victim's name is withheld from the public pending notification of the family as family members who have proprietary rights to being first informed. This little book that I have brought along. And then she knew that there was something wrong. Told her that her darling son was dead. His captain's name was written there instead. When there is a lingering illness prior to a death, survivors have a chance to adjust to the demise of their loved one. Some thanatologists even refer to a process of "anticipatory grief" where the person actually ends the grieving process (and sometimes abandons the dying person) prior to the death. However, when there is a sudden death, whether it is the result of an accident, suicide, murder, fatal heart attack or stroke, disaster, or war wound, sudden death notification can have a traumatic impact on the recipient of the news. Grief may be more intense than in instances where there is time to prepare for a death. There is always a right way and a wrong way to notify someone of a sudden death. Neither the military nor the police should send a lone novice to notify the family or next of kin; however, it may be a good idea to have an inexperienced person accompany someone who is experienced to learn the correct process of notification). The notifier should be someone who is experienced in inter-personal relations (e.g., a clergyperson) or someone who has either received a notification of death at some point or has been a notifying agent at least once. A death notice should not be sent directly through the mail, it should be hand delivered. The deliverer should not walk up to the door, hand the letter to the survivor, and leave. It is best to deliver it to a friend of the family and have them carry it by hand to the survivors. When a sudden death notice is delivered, the message should be short and to the point. The bearer should simply say that they have bad news and then tell the survivor(s) that their loved one is dead. According to the sociologists Michael Leming and George Dickinson, "Because the recipient of the news will probably be in shock and will disbelieve immediately after receiving the news, then is the time to add the simplest of details"—the person is dead, place of death, brief description of how they died, and where the deceased is located (Leming 2002, p. 477). No matter how well the deliverer of bad news may do his or her job, the survivor will in most cases accept the news with great difficulty. Gerbner, George. "Death in Prime Time: Notes on the Symbolic Functions of Dying in the Mass Media." The Annals 447 (1980):64–70. Leming, Michael R., and George E. Dickinson. Understanding Dying, Death & Bereavement, 5th edition. Fort Worth, TX: Harcourt, 2002. Montell, William Lynwood. Ghosts along the Cumberland: Deathlore in the Kentucky Foothills. Knoxville: University of Tennessee Press, 1975. The Louvin Brothers. "Robe of White." Songs That Tell a Story. Rounder Records C-1030. I got informed of my grandfather's death by the funeral home. My grandfather had had a heart attack the night before, and had been taken to a hospital in another town to undergo surgery the following morning. I hadn't gone, electing to stay home, so as far as I knew everything was going as planned. Well, later that morning I get a call from the funeral home inquiring about my grandfather's funeral arrangements. I was stunned, and a little ticked off because I didn't even know that he had died. I got the call probably at around eight or nine o'clock that morning, and I would find out later that the surgery hadn't even started until sometime after seven. It still ticks me off that the funeral home was in such a hurry to get the funeral over with that they mistakenly informed 16 year old me of my grandfather's passing. He couldn't have been dead that long either, because the hospital was located an hour away, and it was about a hour after I got the call that my grandma came home, and in the midst of her trying to tell me the bad news I had to inform her that I already knew. She assumed that one of my aunts had called me, and it wasn't until years later that I told her what had actually happened. I loved my grandfather, and I didn't appreciate having to learn of his death in such a way. I was living with my grandparents at the time, and the funeral home should have taken into account that there might be someone else in the home who's unaware of the person's passing before making a call like that. They should allow enough time for people to find out before they immediately start inquiring about funeral arrangements. My grandma didn't call me because, like most people, she thought it best to break the news to me in person, but the funeral home just couldn't wait a couple of hours. I sincerely hope this hasn't happened to anyone else. It's a horrible way to learn of the death of a loved one.